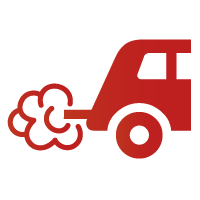 ​Description: A program designed to periodically check vehicle emissions to ensure they are within limits. Often referred to as an I/M (Inspection/Maintenance) program, they are used in numerous states and areas as required by the Environmental Protection Agency to improve air quality in those areas. Although the requirement comes from the federal government, states and their associated agencies have some flexibility in the type of test used, vehicle populations to be tested and other program-specific details. Some states run centralized programs that have state-contracted test stations exclusively dedicated to testing. Other states run decentralized programs, where emissions can be tested at local repair facilities. In a few cases, states may run "hybrid" programs using both centralized and decentralized test stations. The latest trend is to incorporate the use of second-generation onboard diagnostics (OBDII) into these programs, in many cases altogether eliminating the need for tailpipe emissions tests.